JAMK University |Pharos University Developed Staff Exchange Programs | Quick View ! In the light of the endeavours made by Pharos University to develop the skills of the academic staff members and widen their experience, staff exchange programs were developed with a number of leading international universities. Accordingly, Eng. 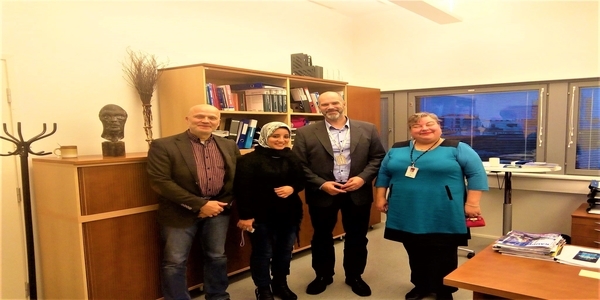 Maha Fathy, an assistant lecturer at the Electrical Engineering Department was sent to JAMK University in Finland from 12 to 16 November 2018 where she was apprised of the modern teaching methods employed there. In order to transfer this valuable experience to students, the Electrical Engineering Department held a seminar on Tuesday, 11 December 2018 where Eng. 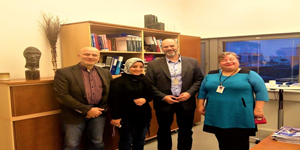 Maha Fathy spoke about her experience in Finland that has one of the world’s best higher education systems.